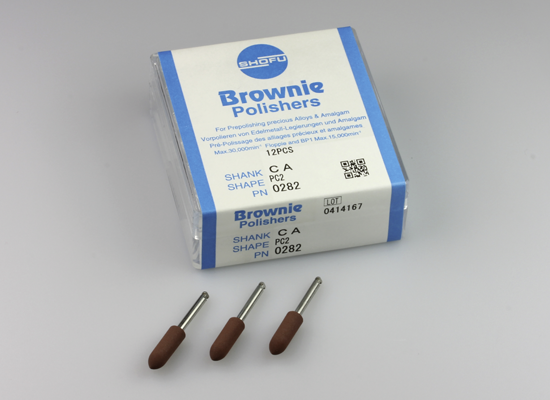 Impregnated with polishing ingredients these silicone polishers are recommended for a fast and brilliant polishing of precious alloys and amalgam. Brownies are used for prepolishing, Greenies for polishing and Supergreenies (with yellow banded shank) for high gloss polishing. Without the need of any additional polishing paste the high gloss arises from the use of the silicone polisher itself, which is impregnated with high-quality abrasive agents.